McFarlane, who now leads M&C Saatchi’s Woolworths bespoke agency The Greenhouse, reflected on how M&C was regarded in the early days, recalling one creative saying M&C Sydney would “never be more than a post-office box for British Airways”. The naysayers couldn’t have been more wrong. 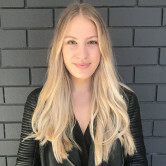 Today, the agency has two offices across Sydney and Melbourne, a 400-strong staff, 14 businesses under the M&C Saatchi umbrella and it’s been defined by its big work for big brands. It’s one of the biggest agencies in Australia and continues to thrive off the legacy and framework The Toms put in place all those years ago. The agency is famous for its pizazz and relentless pitching, which McFarlane referred to as one of M&C Saatchi’s “seduction” tactics. Dery, who is chairman of M&C Saatchi Australia, described McFarlane as the “best in the business” at pitching and said he has an “antenna” for new work – something that he passed down to his alumni of creatives, including TBWA CEO Paul Bradbury, DDB CCO Ben Walsh and JWT global CCO Matt Eastwood. One of The Toms’ boldest business moves came when the duo found out ANZ was looking for a Melbourne-based creative agency in 1997. At this stage, M&C Saatchi was only operating out of Sydney, so the two created a mock office, complete with a reception and conference room. The plan worked and they held the ANZ account for 14 years. “We were always good at putting on a show,” Dery reflected. Like any agency, M&C has also fallen on hard times. The Toms said “Armageddon” hit in 2011/12 when Qantas, ANZ and Woolworths all moved. “You go through a history of Australian agencies and people usually enjoy three to five years at the top. We had some difficult times but we never plateaued. There were times when we could have plummeted, but we didn’t,” Dery said. Even through client losses and stressful times, The Toms swear they’ve never had a real falling out. In fact, they said, their only argument has been over football. “He’s a Collingwood supporter and you couldn’t get anything worse! I’ve had to live with it all this time,” Dery said. The Toms have lived through many eras of advertising and seen the industry evolve from the days that closely resembled a scene from Mad Men. “They were much looser times. Clients were far less demanding, there were a lot more long lunches and the agency bar opened every day at five,” McFarlane said. “It’s common knowledge that I was not far off leaving M&C Saatchi but as it happens in this industry, you turn a corner and bump into a new opportunity,” McFarlane said, reflecting on his move from the core M&C Saatchi agency to Greenhouse. When asked if the duo could ever imagine parting ways professionally, Dery responded: “That would be too boring for words”. 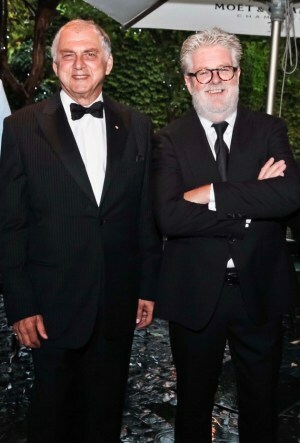 Tom McFarlane and Tom Dery, the long-time leaders of M&C Saatchi Sydney, have been honoured as the 2017 entrees to the Advertising Hall of Fame at the AdNews Agency of the Year Awards. Tom McFarlane and Tom Dery are the first pair to enter the Advertising Hall of Fame as a duo. 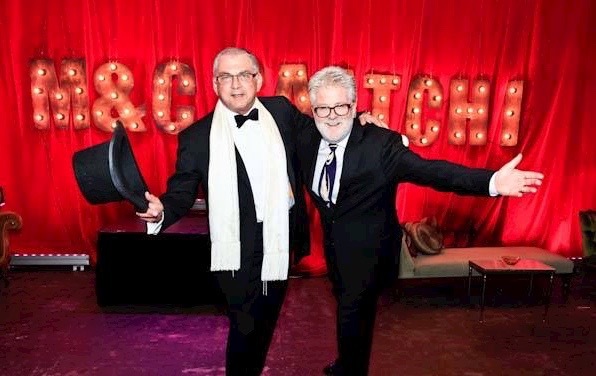 Better known as “The Toms”, the pair came together more than 22 years ago at DDB Melbourne and between them went on to build M&C Saatchi Australia from a startup into a machine. Dery is the “suit” in the Tom/Tom relationship while McFarlane is the creative. Dery was managing director of DDB Melbourne in 1995 when the offer of M&C Saatchi landed on his lap. Following the notorious 1994 fallout at Saatchi & Saatchi in London that saw founders Maurice and Charles Saatchi ousted, and go on to set up another agency with their names above the door, M&C Saatchi, the Saatchi brothers were going after British Airways and Qantas, and needed a Sydney office. Having worked at Qantas for several years in research, and with experience in running his own agency, Whybin, Dery Barnes, Dery was the key candidate for the founding partner position. A year later, he asked McFarlane to join M&C Saatchi as founding creative. In the early days, the industry was quick to criticise the brazen M&C Saatchi, as it started to pitch for and win business with a fury. In just a few years, M&C Saatchi was boasting Qantas, ANZ, McDonald’s and Tourism New Zealand on its books.